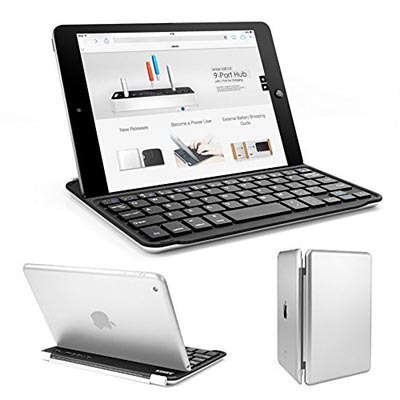 8 of the Best iPad Keyboards Reviewed - Are You The Keymaster? Yes, I know that this is the keyboard you used to get with a desktop Macintosh. Yes, I know that it doesn’t fold up or have glowing backlights. Yes, I know that it doesn’t directly attach to the tablet. The thing is, none of that matters. 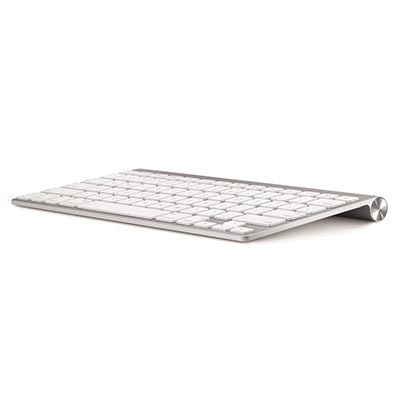 The Apple wireless keyboard is a dream to type on. It’s light and tiny, meaning that it slips into a messenger bag and you’ll forget it’s there until you need it. Pairing with the iPad is a flawless process. It also has a long battery life and doesn’t need daily recharges. Still, keep a spare pair of AA batteries in your bag. The keyboard switches itself off automatically; then when you begin typing it reconnects all by itself. This works solidly, but it takes a second or two to pick up. It’s a niggle and the best way is to tap the spacebar, wait for it to connect, and then start typing. Just be sure to manually switch it off, or turn off your Bluetooth on the iPad, before putting it in the bag. A keypress from being in the bag can lock you out of your iPad for 15 minutes, which is very annoying. As you may have guessed, this is actually the keyboard that I myself use with my iPad. There is a newer version out, but it is almost twice the price, which I think is not worth it. Also, the round part of this keyboard is a great grip. Something the newer magic keyboard lacks, since it is better suited to non-mobile use. 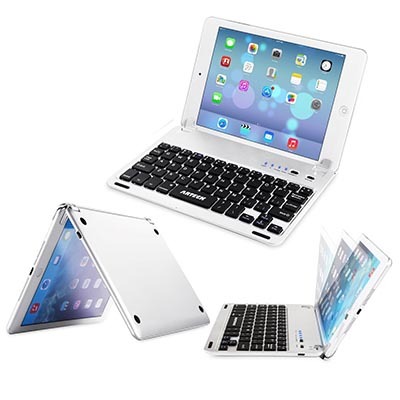 I have yet to encounter a 3rd-party Bluetooth iPad keyboard that comes close to the quality of this product. There are some possible drawbacks. The keys have excellent feedback and high speed touch typing is no problem, but they have very short travel. Personally I prefer this, but if you don’t you’ll have to look elsewhere. The keys are also a hard plastic finish rather than a rubbery key top. Once again this fits my preference, but you may feel differently. In the end though, this is a top-quality product and I recommend it highly. I’m sorry, but I just can’t get past the fact that Microsoft makes a product for a device created by the competition. Can you imagine if Apple made peripherals for Windows PCs? I actually have mad respect for this. For MS, business is business, something they’ve proved over and over again. Anyway, MS has a monumental reputation for quality peripherals. They have made some of the best keyboards ever during their long history and this product has a lot to live up to if it wants to carry the MS badge. First thing’s first: yes, you can have it in white, so it will go with your other Apple stuff. This keyboard looks like a quality product immediately, just as I have come to expect from MS over the years. It comes with it’s own case/cover that also doubles as a tablet or phone stand. One of the first things I noticed about it is that it has a dedicated switch to toggle it between Windows, iOS, and Android. This is exactly what I felt was missing on the iClever, and it makes connecting the device far less of a chore on a day-to-day basis. The cover also switches the device on and off. This is actually pretty important. My top pick keyboard is a good example of this. Since the Apple desktop keyboard, as good as I think it is, doesn’t have a carrying case, it means I have to make sure it is switched off before I put it in my bag. If I don’t, it sends key presses to my iPad while I’m walking with the bag slung over my shoulder. I’ve had my iPad lock itself for fifteen minutes a couple of times before I got into the habit of manually switching it off. Speaking of which, this is another very energy-efficient keyboard. MS claims a single charge will keep for six months. If I didn’t already have the Apple keyboard myself then I’d be seriously torn between the two. 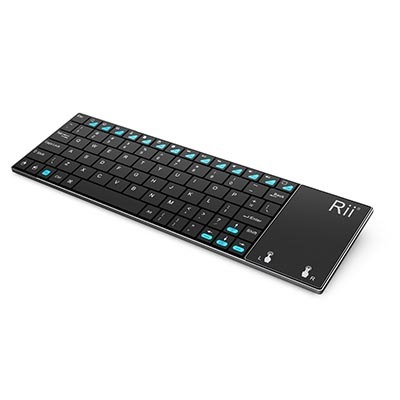 If I wanted to use the keyboard with more than just iOS I’d have to say this product from MS would get my money. I’m a big fan of the Transformers toys and cartoons (NOT the movies, thank you very much) so any clever folding thingy is going to catch my eye. 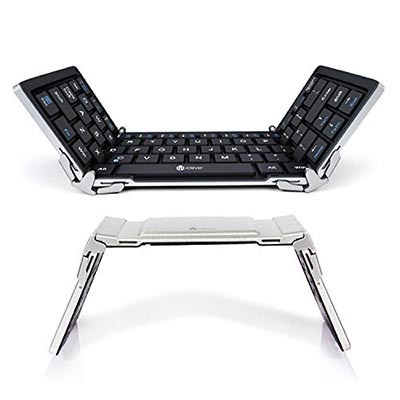 When I saw this folding keyboard from iClever I was immediately paying attention. It looks pretty solid in terms of the keys, which aren’t those tiny Chiclets that fat-fingered guys like me have so much trouble pressing. When folded up the keyboard has a size comparable to an iPhone 6 Plus and the outside shell is aluminum, which is both strong and light. One little niggle is that fact that every time you connect it to a device you need to put in a key combo to tell the keyboard whether it is working with Windows (NOT mobile), Android, or iOS. I really would have appreciated a simple toggle switch, since most people will probably just use this with one main device; having to toggle every time is something I’d find pretty annoying. It has auto power-off that works with the folding and unfolding of the device. There’s an integrated rechargeable lithium battery as well, so you can hook it up to a power bank or wall charger to make sure you always have juice. No AA battery nonsense here. In terms of portability it’s great, though. It’s also a competent keyboard for typing; users seem to have no important issues with it on that score. Since it’s dimensions are so small, you may want to think about how big your hands are in relation to the keys. Still, this is probably one of the best, truly portable BT keyboards; for the gadget fan, it is definitely one of the coolest. This keyboard from Arteck certainly has some good ideas. First of all, as the name suggests, it aims for universal compatibility. The list includes just about every iOS device. Android devices are also there, as are Windows PCs and Macintoshes. The keyboard is also not only backlit, but lets you change the color of the backlight too, which is awesome. For people who type in dark environments, a backlit keyboard may be more than something pretty. It may in fact be a killer feature. The internal lithium battery is rated as needing a recharge every 6 months. That’s a figure based on two hours of continuous use a day and no backlight. So, of course, your mileage may vary. Luckily, you can charge the keyboard’s internal battery using USB and won’t have to run to a convenience store in the middle of the night for some AA batteries while working on the next great novel. 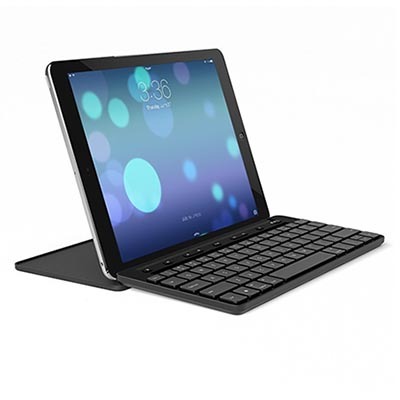 The keyboard is made with an ABS plastic shell and a Zinc alloy frame – that’s not bad for a cheap keyboard. It’s been marked down a couple of times and if you can get it at a good price (in other words less than the Apple keyboard) it may be worth it. Of course, how well it types is important and users are generally happy with the feel and comfort of the device. There are some people who report hardware failure a few weeks after purchase, as well as unreliable key presses and Bluetooth reception. So save your receipts in case you get a bad device. 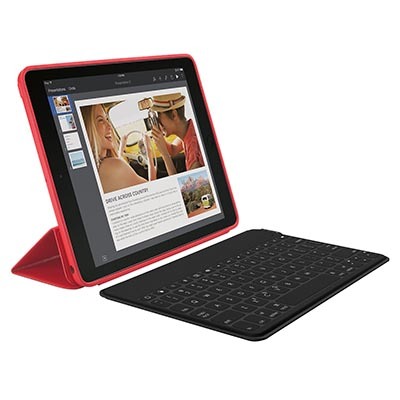 If the iPad Mini were my particular poison this is likely what I would buy, and it’s priced pretty well too! 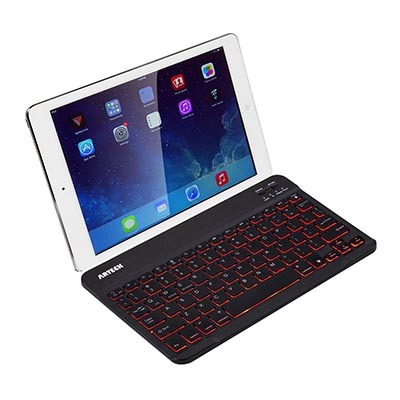 Most Bluetooth keyboards meant for use with iPads and other mobile devices provide you with only a keyboard, the assumption being that you have a touchscreen, or in the case of a PC or Mac you’ll have a dedicated pointing device. Unlike Android, however, iOS does not currently support mice or trackpads. So for iPad users this particular feature is wasted. Still that doesn’t mean we should overlook this keyboard without giving it a chance. In terms of functionality there are not many complaints, apart from the fact that the keyboard section is quite small thanks to the space taken up by the trackpad. So this is not the keyboard to use for writing War and Peace. Battery life is claimed at 3 months off a full charge. Not the best I’ve seen, but still far more than most of us need off a single charge. People who buy it like it. There’s nothing super special, interesting, or notable about it but, typical for Logitech, it gets the job done. Serious writers may want to give this a serious look. The hinge addresses a common complaint people have when using iPads on a stand – viewing angle. Personally, I’ve never had an issue with the excellent screens these tablets have, but apparently some people can’t see anything without tilting the screen back. So that’s what this device lets you do. If none of these catch your fancy, there are a few things you should think about when looking to buy a BT keyboard. First of all, I prefer to have a keyboard with USB charging. This is not the case with my top pick board, which is one of the few problems I have with it. It’s not the end of the world but, generally, keyboards with built-in batteries are slimmer than ones using AA or AAA batteries. The downside is that when the internal battery wears out you might as well throw the keyboard away. Next is battery life, which also isn’t an issue anymore, but do note how long they claim the life should be. Pay attention to reviews and what users say. A keyboard lives and dies by how comfortable typing is. If the reviewer or user has anything bad to say about any aspect of typing, just skip that product. It’s not worth the frustration. All right! Go out there and get tapping!